SOLO Eyewear is a hybrid line of bamboo and plastic sunglasses. Help make our Summer 2012 Collection a reality. 409 backers pledged $30,200 to help bring this project to life. Thanks for stopping by our page. For the past year, we've been working around the clock to develop a top of the line collection of bamboo and plastic sunglasses. We are on the verge of making the new SOLO line a reality...we need your help to get there! The SOLO Summer Collection features exciting new colors, new materials and a new style! We have covered half of the costs for production of this collection and we need your help to cover the remaining half! 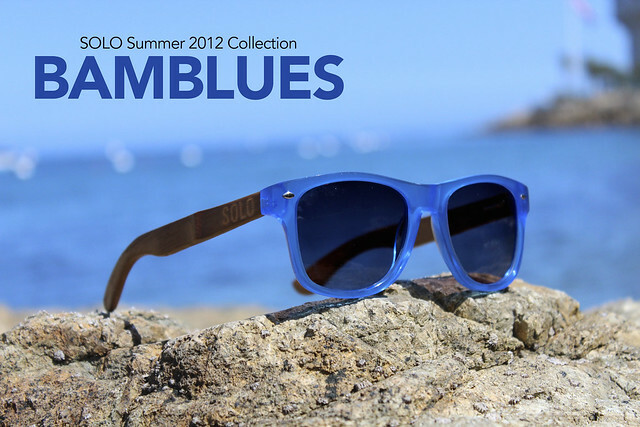 With your support, we would love to make our Summer 2012 Collection a reality and get these shades on as many faces as possible! These are some of the new colors and styles to be featured in the collection. SOLO classic bamboo style sunglasses have a hybrid design, combining bamboo and plastic and turning the fusion into something great. 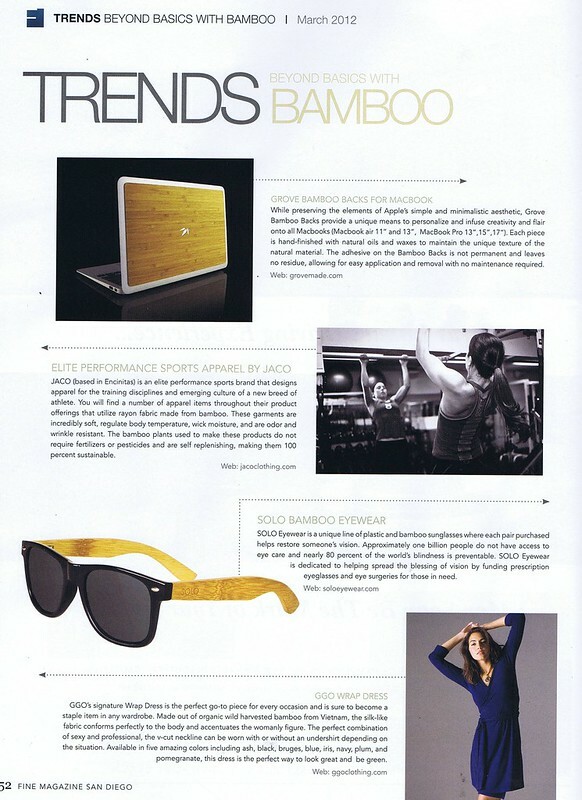 Bamboo is one of the fastest growing plants on the planet, making SOLOs a more sustainable pair of sunnies. We wanted to create a product that made people stop and ask who makes those sunglasses and where the heck can I get some? We also wanted to create a brand that inspired people to go out and do awesome things. Sometimes when we want to start a project in our heads it can be a grand image or huge dream. However, every day people can make one choice, one decision, one action that can create a positive ripple effect much larger than they will ever know. One word that perfectly describes the power of one is "SOLO" and hence the inspiration behind our brand "SOLO Eyewear." With your support we are targeting to have the SOLOs shipping to Backers by late July. We hope that you are moved and passionate about the idea and choose to support the project. Either way please tell at least one person about us. Everyone has a friend that likes to be stylish and make a positive impact at the same time. In an effort to make our pledge levels unbelievably awesome, we decided to add t-shirts to the mix. We will follow up with our amazing backers to see what style and size they would like. Here is a peek at the styles. Both are unisex and available in men's and women's sizes. $500.00 - 10 pairs of SOLOS and two SOLO t-shirts. Receive a car decal, a thank you card & a shout-out on our site. You'll also receive an invitation to join in a Ustream sesh with the founders to CELEBRATE your support! Your pledge Includes shipping within the USA. Add $15 for international shipping. If you pledge $25, we’ll send you one of our brand new first edition SOLO T-Shirts, plus the previous incentive. Your pledge Includes shipping within the USA. Add $15 for international shipping. As a thank you to those who support us right away we want to offer 200 pairs of classic bamboo style SOLOS at $15 below retail to the first 200 people that place their confidence in what we are creating. These sunglasses, made with bamboo, gently wrestled from the mouths of giant PANDAS, will be the first to ship in July. "Vision to Give” is engraved on the inner right arm and SOLO engraved on both of the outer arms. Our sunnies have flex hinges too! These classic bamboo style SOLOs will retail at $55. Your pledge includes shipping within the USA. Add $15 for international shipping. This level will land you a sweet pair of the “New Style” SOLOs, which are an awesome hybrid of bamboo and metal. The "New Style" has yet to be released! These sweet sunnies will be all the rage. Believe us, they're off tha chain! Keeping in tradition - The arms are made with bamboo, which is one of the fastest growing plants in the world. "Vision to Give” is engraved on the inner right arm and SOLO is engraved on the outside of both arms. These bad boys will retail at $62. Your pledge Includes shipping within the USA. Add $15 for international shipping. SOLO Classic BAMBOO Style Sunglasses + a SOLO T-SHIRT!!! This level will land you a sweet pair of the classic style SOLOs which are an awesome hybrid of bamboo and plastic as well one of our brand new, super fly SOLO tees! Our T-Shirts are made with American Apparel shirts....top of the line quality! You're going to love them. Your pledge includes shipping within the USA. Add $15 for international shipping. The Super Smooth Combo: Receive 2 pairs of SOLOs (1 Classic Bamboo Style + 1 New Style). Did you hear that??? That was your baller status reaching the next level... how, you might ask? Because you are the soon to be owner of 2 pairs of super fly SOLOs! Your pledge Includes shipping within the USA. Add $15 for international shipping. 2 PAIRS of SOLOs (1 Classic Bamboo and 1 New Style) + a SOLO T-SHIRT!!! This level is for one Super Smooth Combo: 2 pairs of SOLOs (1 Classic Bamboo Style and 1 New Style) + one brand new, super fly SOLO tee! 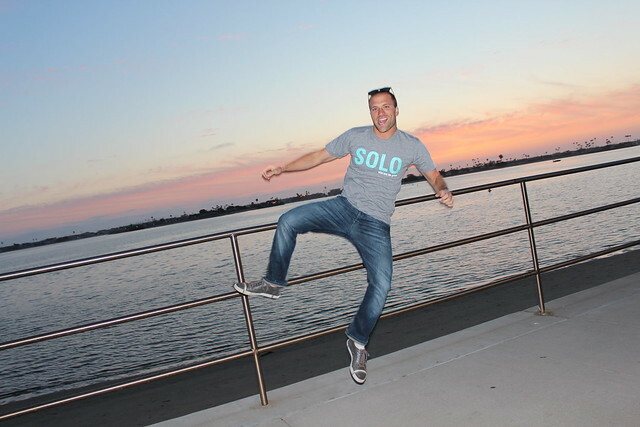 Our SOLO tees are made with American Apparel shirts... you're going to love them! Your pledge Includes shipping within the USA. Add $15 for international shipping. All four colors of classic bamboo styled SOLOs ready to be shipped to your sweet sweet front door. This means you will have every color of the bamboo armed "lady-" or "man-killers" in your repertoire. Plus you’ll get a special shout out on our website! Your pledge includes shipping within the USA. Add $15 for international shipping. MASSIVE THANKS! Here’s what will go down. We’re going to send you 10 pairs of SOLOS and two SOLO t-shirts. Then we’ll schedule a skype with you because we personally want to hang out with you and say thanks! If you're in San Diego, Ca then we’re taking you to dinner. Lastly, you’ll have an invite to our Summer Launch Party. Further, you’ll get a signed pic of the SOLO Panda, a thank you card, & a feature as Fan of the Week on our FB fan page.